Our very first pro brewer podcast guest is back, and it’s been an eventful two years. Jason Lavery talks about the excitement and tribulations of moving into their new brewery, the overwhelming response to an IPA they never planned to make, barrels, beer tourism, and cease-and-desist letters. 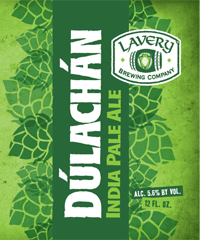 Check out Lavery Brewing on the web, Facebook, Tweet them, or check into their beers on Untappd. Listen to us on your iPhone, Android, BlackBerry. Posted in All Beers Considered, Interviews, The Maltercation. Another great podcast. Very cool story about the Dulachan–can’t wait to try it!